Ceramic – Like glass, ceramic breaks very easily. It holds onto heat a little better, but it’s still pretty inferior and generally not worth the bother. Quartz – Quartz nails are pretty decent. Quartz is must more durable than glass or ceramic, and it’s almost impossible to overheat it. However, quartz doesn’t hold onto heat very long. Because it cools so quickly, it may heat your concentrate but not long enough to create a lot of vapor. 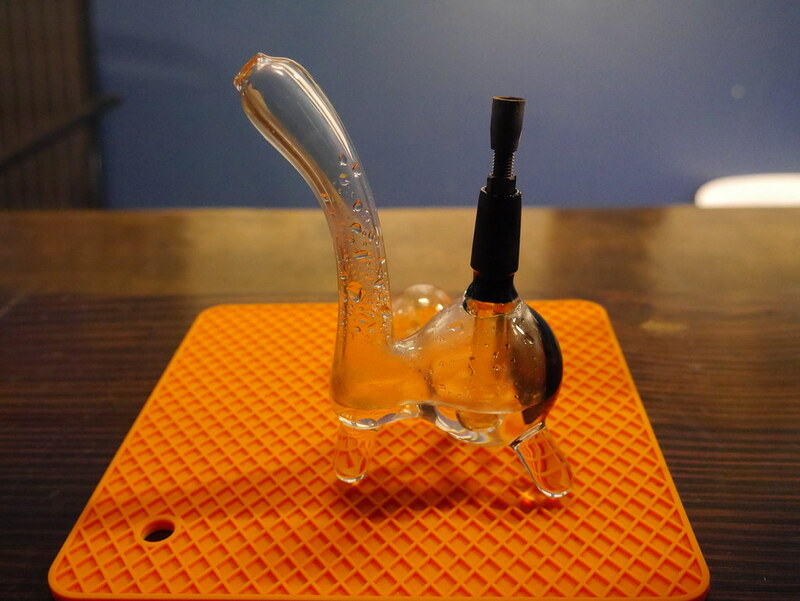 Glass – Borosilicate glass is strong stuff, and it works great in bongs and pipes. When used in nails for dab rigs, though, it misses the mark. Glass nails are pretty ubiquitous because they are very cheap. However, glass breaks easily. Glass nails don’t tend to last very long, and they must be replaced frequently. In the long run, you’ll end up paying more. Also, glass isn’t very good at retaining heat, so glass nails don’t always do the job with certain concentrates. Titanium – The vast majority of experienced dabbers prefer titanium nails. Titanium is virtually indestructible, for one thing. Titanium retains heat incredibly well. The only problem is there’s a risk of overheating it to the point where it burns the concentrate instead of producing a vapor. For this reason, many people like to pair titanium nail dab rigs with water diffusers to strike the right balance. E-nails – Few people bother with them, but e-nails are really convenient. E-nails are essentially electric nails with a port for a coil and a PID that gauges your coils temperature. They tend to cost more but they eliminate the need to use a torch entirely. Also, you can set a precise temperature, so you have much better control. The vaporization points of different materials vary, so it’s nice to be able to set a temperature and go from there. While some dab nails, like the titanium and E-nails are more pricey than others you will want to get one that you can afford and that will fit on your rig. Using a titanium nail on an improper glass rig can cause cracking so make sure you use the one that works the best for your rig. For more information about concentrates and nails visit Cannabis Training University.